The amount of music available on the Internet is incalculable, and if you want to enjoy it you need to use several different services, such as Last.fm or MusicBrainz, unless you use an application like Mielophone. Using Adobe AIR as a work base, Mielophone presents the user with a minimalist and very easy-to-use interface, through which the user will be able to quickly access searches by artist, album or song. 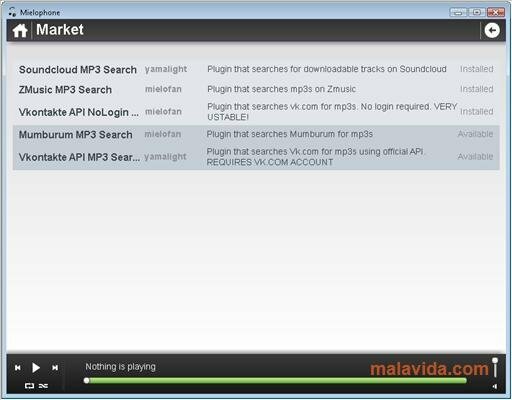 To offer the results, Mielophone performs a search on Last.fm, MusicBrainz, BBC and other websites that offer legal music and offers all the results that have to do directly with the search words. 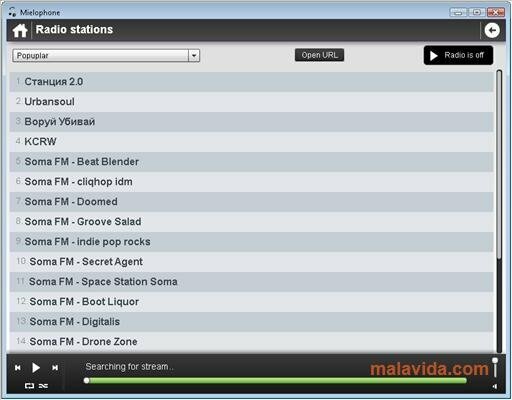 On the other hand, Mielophone also offers you the possibility to enjoy different radio stations by listening to them via streaming. 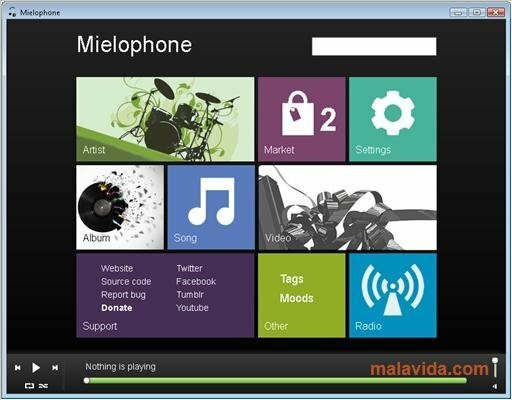 As well as the options available when the application is installed, Mielophone offers a small market place where it is possible to acquire small plug-ins that will increase the features of this software. 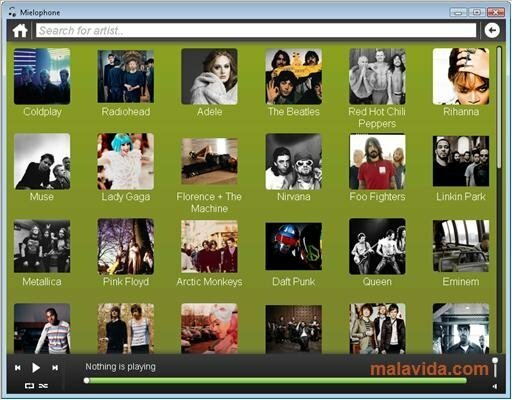 Download Mielophone on your computer and discover a different way to enjoy your favorite music and find new music groups. This download requires Adobe AIR.